Poco Ranaka is one of district in East Manggarai that is become mainstay city of tourist potential in Manggarai. It is part of a volcanic chain in the centre of East Manggarai. The volcano is still very active. In 1987, a lava dome started growing on its flank, which was aptly named Anak Ranaka – child of Ranaka. Today, Poco Ranaka is an integrated part of as Ruteng Nature Park, which aims to promote conservation and tourism. At the summit of Poco Ranaka there is a chapel, which is a popular place of pilgrimage among the locals. An asphalt road has been built by the local government some time ago but it is in a desolate condition and, even though you could go all the way to the chapel by motorbike, it is better and much nicer to walk. Nice views will open up along the trail. On the top, the chapel welcomes you. The trail ends at 2,286 meters above sea level. Unfortunately, the scenery from the top is obscured by tall, thick bushes. Poco Ranaka is famous as hiking adventure for the tourist or nature lovers. 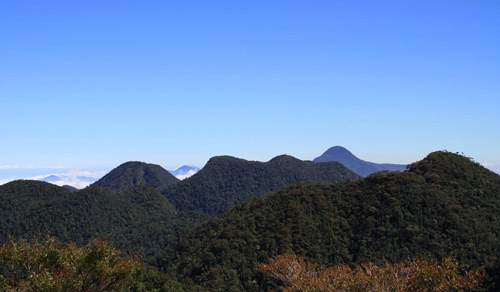 To get adventure is easy to hike with many splendid views on the way up; and Ranaka is a fantastic bird watching spot with species like the changeable hawk-eagle, the bare-throated whistler, the chestnut-backed thrush, and the Flores minivet. The endemic Wallace’s hanging parrot has been documented but some of the other endemics might be found here as well.